Boston, MA – Samuel Adams is proud to announce that New Hampshire resident Michael Robinson’s Old Ben Ale and New Mexico resident Ben Miller’s Mile High Barley Wine are hitting the shelves nationwide after besting more than 1,300 entries and being chosen as the winning homebrews in the 2009 Samuel Adams LongShot American Homebrew Contest. Samuel Adams Founder and Brewer Jim Koch homebrewed the first batch of Samuel Adams Boston Lager® in his kitchen in 1984 and 25 years later, Koch encourages homebrewers across the United States to test the boundaries of brewing, recognizing the most talented homebrewers for their innovative and creative brews year after year through the Samuel Adams LongShot American Homebrew Contest. In addition to Mike and Ben’s winning brews, Samuel Adams also honors Employee Homebrew Winner Jeremy White for his Lemon Pepper Saison. 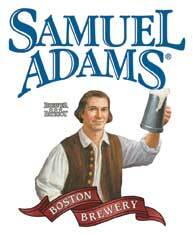 All three winning homebrewers had the opportunity to brew alongside the Samuel Adams brewers in Boston. Their bragging rights also include having their recipes bottled and available nationally in the 2010 LongShot variety package, hitting shelves this month. Samuel Adams employees compete in their own homebrew competition, a tradition the company started in 1996, encouraging employees to channel their passion and knowledge for craft beer while experimenting in their own kitchens as Jim did 25 years ago with his great-great grandfather’s recipe. Jim and the other brewers at Samuel Adams spend a day tasting the homebrews submitted by novice and more experienced homebrewers in the company, and choose three finalists that stand out from all of the employee entries. These three employee homebrewers attend the Great American Beer Festival (GABF) and ask festival goers to taste and vote on their favorite. Last September, GABF attendees chose Jeremy’s brew as their favorite. The 2010 LongShot variety six-pack is available nationwide in select retail stores beginning this month for a suggested retail price of $9.99 per six-pack. The variety pack will include two bottles each of Michael Robinson’s Old Ben Ale, Ben Miller’s Mile High Barley Wine, and Jeremy White’s Lemon Pepper Saison.